Escaping to the quiet peace found in your home is always the final destination you desire after a difficult day at work. Unfortunately today's neighborhoods are anything but quiet. Your peace can be disturbed by the neighbor’s barking dog, screaming kids in the backyard, noisy pool pumps, air conditioners, airplanes, and traffic noise. These are just a few of the many daily interruptions we face when trying to settle onto our cozy couch for a nap. 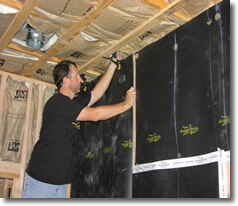 Acoustiblok® is an easily installed material that can greatly reduce the noise from within your house as well as outside noise.Acoustiblok should be installed on the studs before attaching the drywall to reduce the noise between rooms. 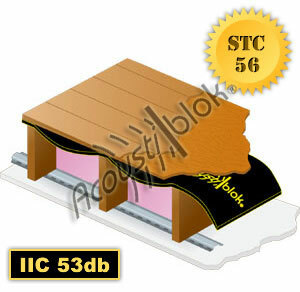 Acoustiblok can also be installed over the floor joist before the sub floor is attached to reduce the sound from walking (Impact Noise) as well as the noise created in the room. 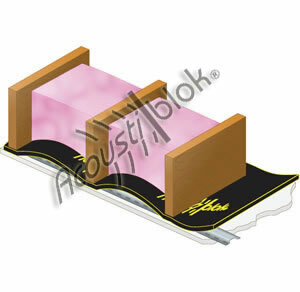 Some builders have installed Acoustiblok on the roof trusses to reduce the noise from low flying airplanes or busy highways. 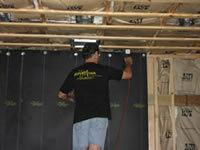 Another application is to wrap plumbing pipes to quiet the sound of running water. 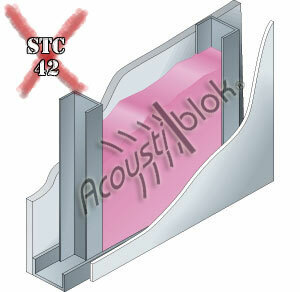 Obviously there are many more applications of Acoustiblok within a home to obtain sound abatement. Please contact our office to discuss your particular noise problem. As more cities and states legislate strict sound control ordinances, finding effective solutions becomes paramount. Consequently Architects, Developers, and Builders are forced to find building products that will meet these tough building codes. 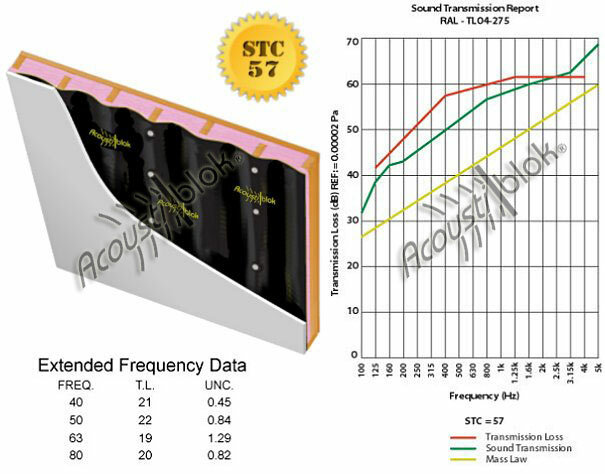 Installing effective sound attenuating products during new construction is more cost effective than attempting to solve a sound problem after completion. 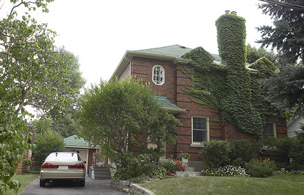 The problem of sound attenuation in buildings, condominiums, and apartments is rarely addressed properly. Desiring maximum usage of the property, designs generally include a common slab and block or studs walls separating the units. 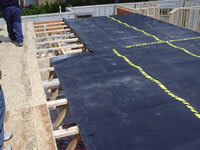 If the building is multi-level, there are wooden floor joists and ceiling joists throughout the units. 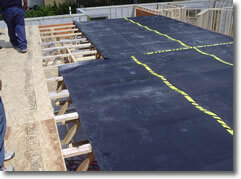 To this structure studs, fiberglass insulation and drywall are added. This design is not always an effective sound barrier. The reason is that there is still a mechanical connection from one unit to the other. 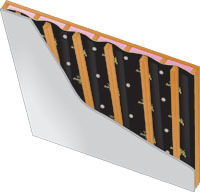 By installing Acoustiblok® over the studs, ceiling and floor joists, sound can be effectively stopped before it vibrates the structure. 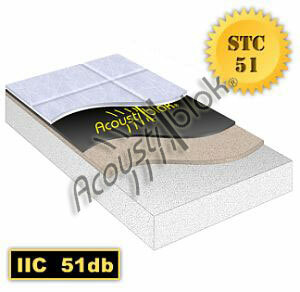 Acoustiblok® is a flexible, dense material that reduces sound by 26db. A 32 oz. 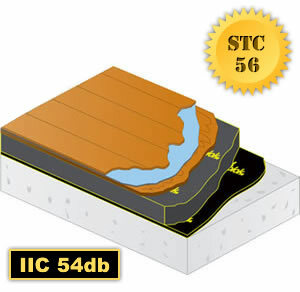 product (STC 32) is also available for challenging noise problems. See the Industrial and Commercial page for more information. 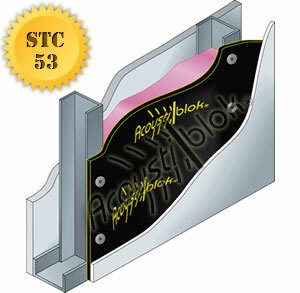 Acoustiblok is UL Classified and approved for fire rated walls, floors and ceiling designs. Visit www.ul.com for more information. 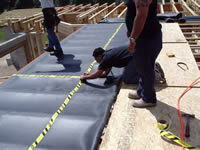 Installation is simple and requires no special tools. 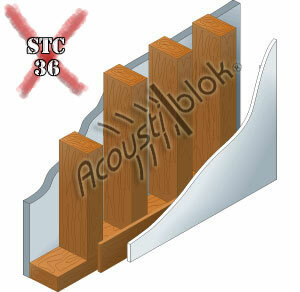 Acoustiblok is effective when properly installed. 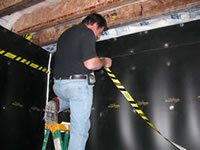 All seams should be sealed with tape and acoustical caulk creating an air tight seal. Decoupling the mechanical connections between units is essential in achieving maximum results. 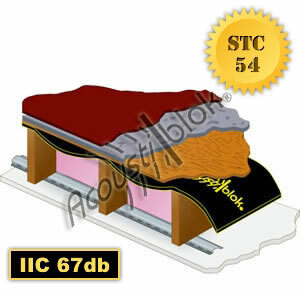 While designs differ, we are confident Acoustiblok will effectively improve your STC and IIC ratings. 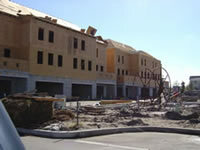 Presently our multi-family clients span from California to Florida. 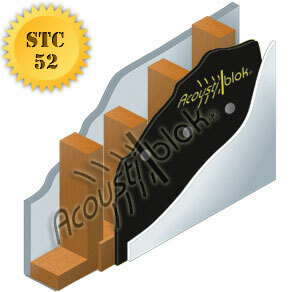 Soon multi-family projects in Europe, Central America and Australia will have Acoustiblok installed.